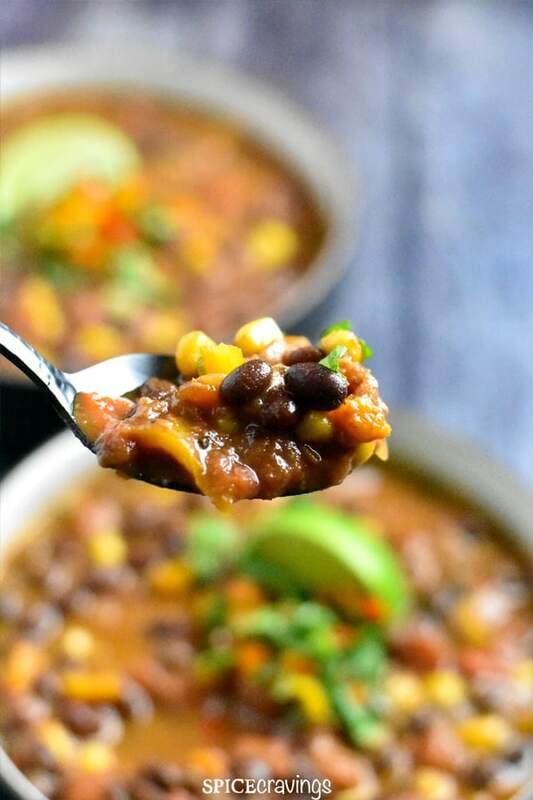 If you’re looking for an easy, comforting and delicious vegetarian chili recipe, you’re going to love this Black Bean Chili in Instant Pot! Super healthy and creamy black beans are simmered in vegetable broth with sweet diced tomatoes, and fire roasted green chilies. Sweet corn and peppers add a great depth of texture and flavor to this dish. I season this chili with taco seasoning and a couple of teaspoons of unsweetened cocoa powder. Surprised? The bitterness and smokiness of the cocoa powder actually balances the acidity of tomatoes in this chili really well. I add a dash of fresh lime juice, sprinkle some cheese on top and dive right in! 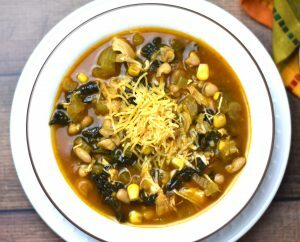 Easiest Vegetarian Chili Recipe Everr! My family loves chili! We make a gazillion versions of it , and use it in another gazillion ways. This one’s straight out of our weeknight chili collection. With a less than 5-minute prep, which includes opening 4 cans, putting this chili together is a breeze! 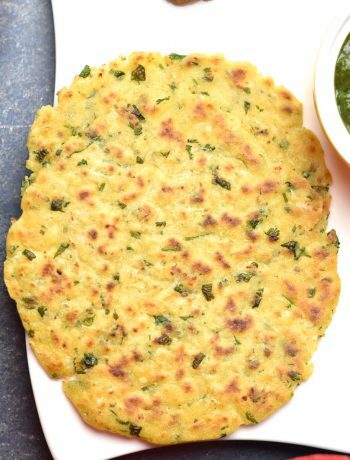 Possibilities are endless with this dish. You can swap the beans with your favorite kind, add your favorite toppings like sour cream, cheese, jalapeños, spring onions, avocados. You can even enjoy it as-is, or, use it as a topping for some amazing Chili Nachos, or, mix it with rice, wrap it in a tortilla and you have a Bean & Chili Burrito. During football season, you will always find a version of this on my table, every Sunday! So, off lately, I have been on a mission to make more dump-and-start meals for my family. Mainly because our schedules have become very hectic. Girls have crazy amount of school work, hubby dear is traveling a lot more, and I spend every waking moment on the blog and recipe development. These dump-and-start recipes help us put together a healthy and home cooked meal on the table, with minimal effort and zero babysitting. I tested this recipe twice, and both times the result was spot on, I couldn’t tell the difference between the one cooked by sautéing the onions and peppers. So, basically just dump everything in the Instant Pot, close the lid and let the pot do it’s magic. Open it and serve it with your favorite chili toppings. If you’re making this in the Instant Pot or any pressure cooker, you have to add some clear liquid for the pressure to build, and to avoid the dreaded ‘burn’ message. To thicken the chili, after opening the lid, take a potato masher and mash the beans lightly in the pot randomly, about 4 to 5 times. That thickens the chili and gives it a creamier texture. You can also simmer it on ‘saute’ mode for a few minutes till it reaches your desired consistency. 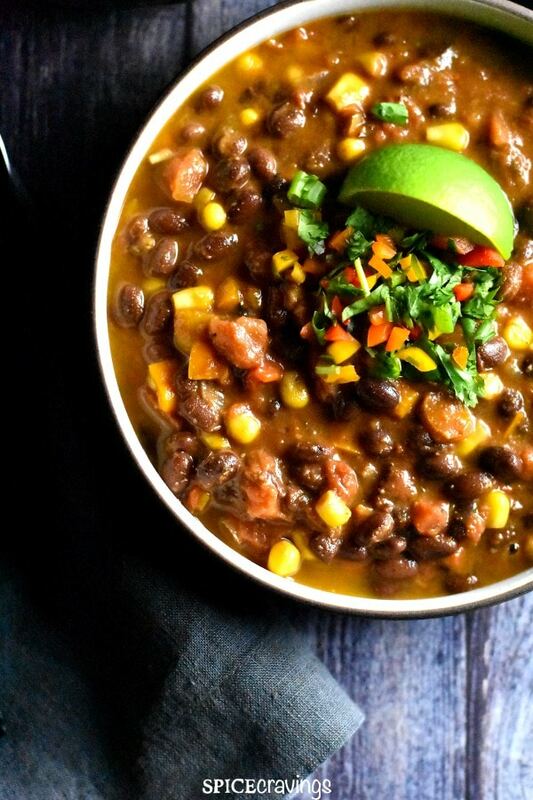 Black Bean Chili also makes for a great potluck and picnic dish. It’s vegetarian, gluten-free, so you don’t have to worry about dietary restrictions. If you skip the cheese, you can make it vegan too. 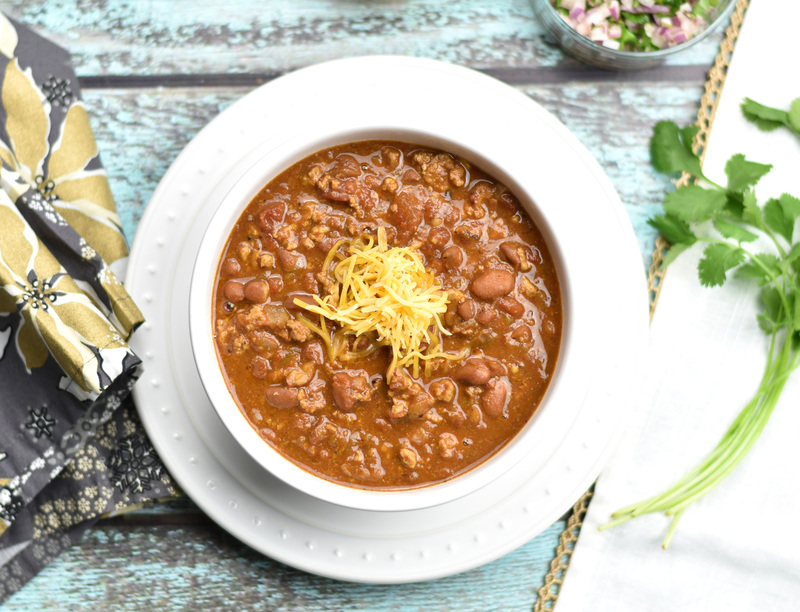 For potlucks, I make this chili in my Instant Pot, cover it and take the whole pot along. I turn on the SAUTE mode to warm it up and serve it right out of the pot, it cannot get easier than that. I take all the toppings and put them along side the pot, this way people can customize their bowl the way they like it.
. I top that with good layer of shredded Mexican blend cheese and serve it as a dip with Tortilla chips. It’s a big hit every single time. This Chili can be made on the stove-top as well. Take a deep sauce pan or a stock-pot. Turn ON the flame at medium-high. Add olive oil, onions, green pepper and sauté for 1 minute. Then, add seasoning mix and stir for 30 seconds, this wakes up the spices. Add all remaining ingredients and stir. Bring the chili to a light simmer. At this point, cover the pan with a lid, reduce the flame to medium and simmer for 12-15 minutes. Remove the lid, check for seasoning. Garnish with your favorite chili toppings like cilantro, shredded cheese, sour cream, avocados, tortilla chips etc. Rinse your preferred brand of dried beans, about 1 cup and soak them in 3 cups of water . I like to soak them overnight. Throw away the water in which they were soaked and rinse well. 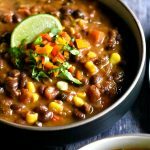 Follow the recipe and press BEAN mode for 20-22 minutes for Black Beans ,and 25 mins for Kidney/Pinto beans. Wait for the pressure to release naturally (NPR). 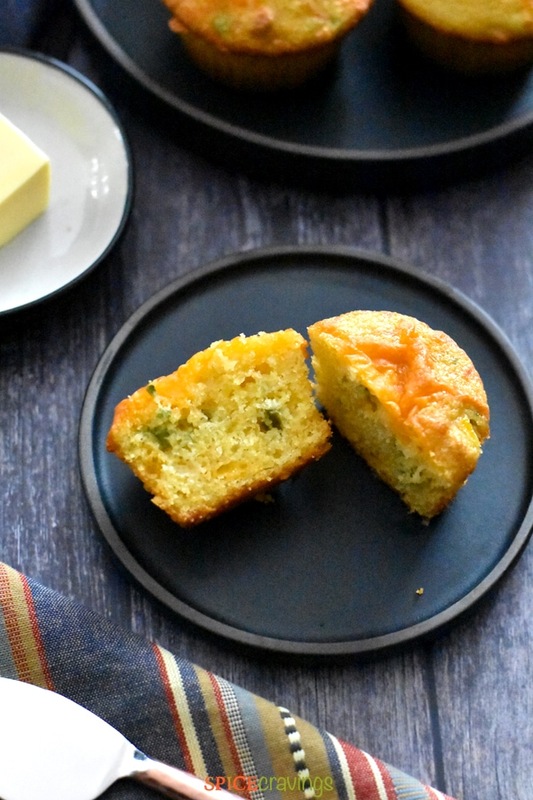 I love to serve this, or any chili with Jalapeno Cheddar Cornbread. My kids love it! We make muffins sometimes, and other times I make cute little mini loaves. These mini loaves make a great gift for neighbors and friends too! 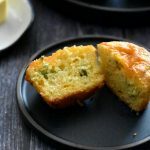 Here is the recipe for Jalapeno Cornbread. 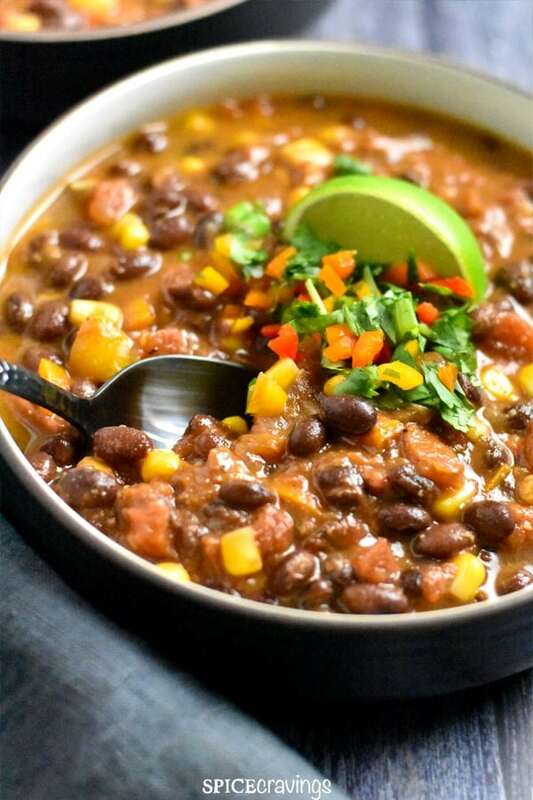 It’s quite a quick and easy recipe to put together while your chili is cooking. I make it on the oven most times, but I have made it in the Instant Pot as well. The detailed recipe has instructions for both methods. Check out my Top Mexican Recipes, including bean burgers, fajitas, and tacos. ★ Have you tried this recipe? We love your feedback! 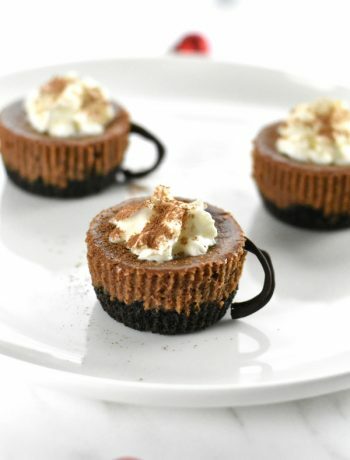 Please click on the stars ★ in the recipe card to rate! 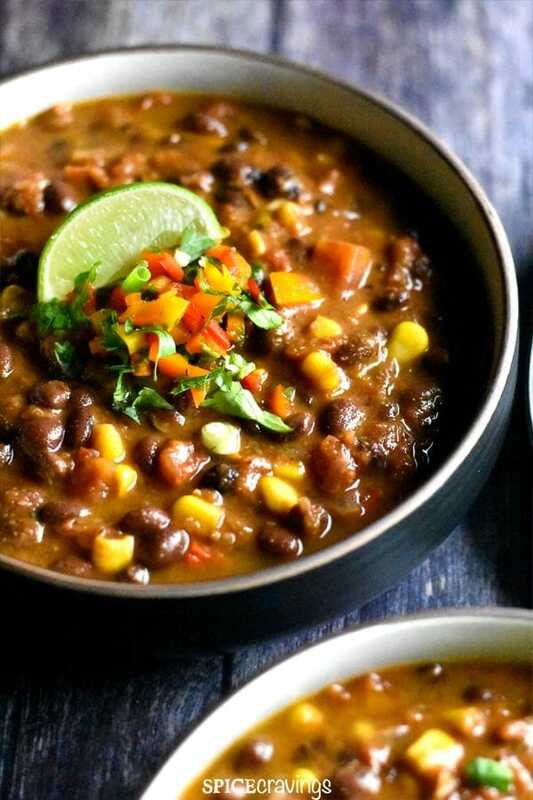 This delicious Vegetarian Black Bean Chili has creamy black beans simmered in vegetable broth with sweet diced tomatoes, and fire roasted green chilies. Heat Instant Pot on SAUTE till it reads HOT. Add olive oil, onions, green pepper and sauté for 1 minute. Then, add seasoning mix and stir for 30 seconds, this wakes up the spices. Add all remaining ingredients and stir. To make this a DUMP-AND-START recipe, simply add all the ingredients to the pot and give it a stir. Close lid, vent set to SEALING. Cook on MANUAL (High) for 5 minutes, NPR or QR after 5 minutes. Open the lid, check for salt. Cool for 5 minutes. Garnish with your favorite chili toppings- cilantro, shredded cheese, sour cream, avocados, tortilla chips etc. Skip the cheese to make the chili vegan. Optional Step: Sometimes I stir in about 2 tablespoons of shredded Mexican blend cheese in this chili after cooking. It makes it so creamy and delicious! Heat deep saucepan or stock-pot at medium-high. Add olive oil, onions, green pepper and sauté for 1 minute. Then, add seasoning mix and stir for 30 seconds, this wakes up the spices. Add all remaining ingredients and stir. Bring the chili to a light simmer. Then, cover the pan with a lid, reduce the flame to medium and simmer for 12-15 minutes. Remove the lid, check for seasoning. Cool for 5 minutes. Garnish with your favorite chili toppings like cilantro, shredded cheese, sour cream, avocados, tortilla chips etc. Skip the cheese to make the chili vegan. After opening the lid, take a potato masher and mash the beans lightly in the pot randomly, about 4 to 5 times. That thickens the chili and gives it a creamier texture. You can also simmer it on 'saute' mode for a few minutes till it reaches your desired consistency. I use Trader Joe's Taco Seasoning mix. It is a bit on the spicier side. If you want to make it mild, you can substitute with: 2 tbsp chili powder, 1 t​sp paprika, ​1/2 tsp salt,​ 1 tsp cumin, ​1​ tsp coriander powder, 1.5 tbsp red wine vinegar, 1 tsp​ brown sugar. ❤️ For more quick & easy recipes, SUBSCRIBE to my Youtube Channel and FOLLOW my RECIPE BOARDS on Pinterest. Can I use Mole’ as a substitute for the cocoa powder? Hi Sue, I haven’t used mole spice blend before, but I would say ‘sure’. Just scale it back to 1 teaspoon since it has cinnamon, chile’ and some other spices in addition to chocolate. Alternatively, you can omit the cocoa/ mole altogether, the chili tastes pretty good without it too! Hope you enjoy it!